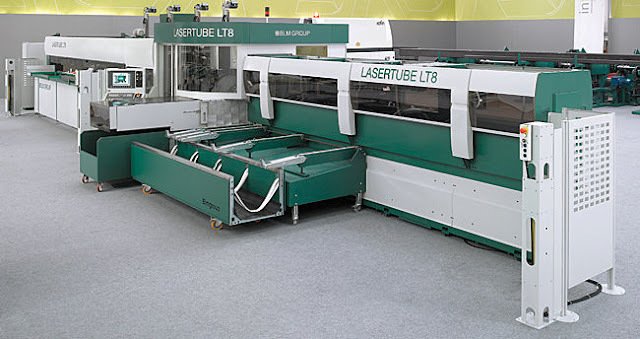 The introduction of our latest Laser Cutting system sets new standards for productivity and flexibility in tube processing. The parametric programming system allows fast program preparation and 3D visualization of the finished component. Round, square and rectangular sections in a wide variety of materials can be processed. Tube sizes – Diameters 10mm to 200mm x 6500mm can be accommodated on this machine. For larger diameters tubes a rotary axis on one of our flat bed laser cutting machines can accommodate tubes up to diameter350mm x 6500 long.